He met with Sheikh Ahmad Al Fahad Al Sabah, who temporarily stepped aside as ANOC President at the Assembly while he contests charges of forgery in Switzerland. Sheikh Ahmad has always provided "generous support" to the IFBB, the organisation said. Santonja also meet with the President of the Japanese Fitness and Bodybuilding Federation, Fujiwara Tatsuya. 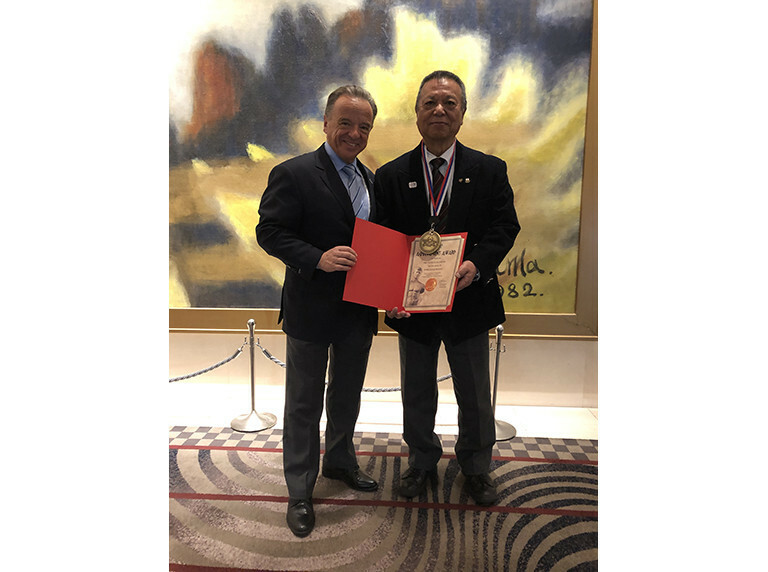 He was presented with the IFBB Gold Medal from Santonja. Other officials met by Santonja include Julio Maglione, who chaired the majority of the General Assembly in his role as outgoing ANOC senior vice-president, following Sheikh Ahmad's withdrawal. Maglione, also the International Swimming Federation President, is said to hold a lifetime friendship with Santonja. Santonja also attended the ANOC Awards while in Tokyo.